Kyle Jeray is a graduate of the University of Illinois School of Medicine in Chicago. 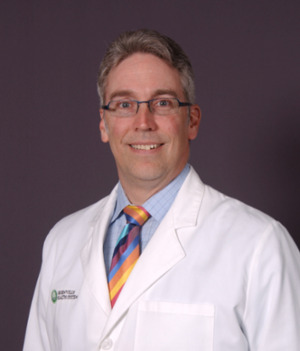 He completed his Orthopaedic Surgery Residency at the Greenville Hospital System in Greenville, SC and, subsequently did his Orthopaedic Traumatology fellowship at the Carolinas Medical Center, in Charlotte, NC under the direction of Doctors James F. Kellam and Michael Bosse. Upon completion of his fellowship, Kyle joined the faculty of the Greenville Health System. Kyle is currently the Academic Vice-Chair of for the Department of Orthopaedics and Neurosurgery at the Greenville Health System. He is a Clinical Professor of Orthopaedic Surgery University of South Carolina School of Medicine- Greenville. He is also a Clinical Professor in the Department of Health Research and an Adjunct Assistant Professor in the Department of Bioengineering at Clemson University. Kyle’s research has focused upon the care of patients with musculoskeletal injuries. His clinical interests include the management of open fracture wounds, osteoporosis, complex upper extremity fractures, fractures of the pelvis and acetabulum and motor vehicle and motorcycle accident related injuries. Kyle has also collaborated with a number of basic science researchers on multiple projects related to orthopaedic biomaterials, biomechanics and driving performance after injury.